There are so many great PC game genres out there. If you are new to the world of PC gaming, there are a few that you have to try once. These are the best genres to be aware of because they stand out on PC more so than with other consoles. Sandbox games are fun because of the freedom you get. There are fewer limits in place, meaning your character can explore the world of the game at will. This means you can create things, take on challenges or fight with other players. 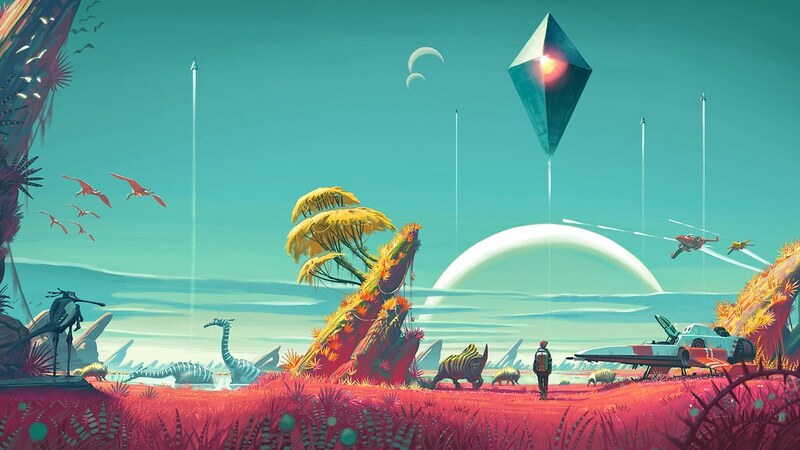 Some of the most popular sandbox games include Minecraft and No Man’s Sky. They are very different games, but both can be incredibly engrossing for you as a player. You’ll find the best indie sandbox games on the PC rather than other consoles, so don’t be tempted by the PS4. RPGs are role playing games. You become a character and work your way through a complex narrative. These are very common and popular among PC gamers. You should definitely give them a try if you never have before. You can become fully immersed in the action and enjoy the challenges the game throws at you. There are all kinds of great RPG games available on the PC, so see which ones interest you most. The online capability of these games can make them even more enjoyable. Strategy games rely on managing a whole lot of variables and making sure that you achieve the best outcomes. War and battle strategy games tend to be the most popular. You have to find a way of breaking through and defeating the enemy. If you don’t opt for the right strategy, you simply won’t find success. There are also plenty of sports strategy games for people who like to take on those kinds of challenges. Card games and casino games have been around forever, and they’re still appealing to players. Playing them on the PC is best because you can swiftly and easily get together with other players all over the world. You can visit sites that offer these kinds of games here. You just need to be able to hold your nerve and deal with risking real money. You should also know when to cut your losses. But it can be a lot of fun if you take the right kind of approach to these games, so try it out. If you’ve never played a city simulator game before, now is the time to change all that. Games like Cities: Skylines are very impressive. You can create an entire city and make it function as a real city would. You control the roads, the building projects, the taxes and everything else. It’s the kind of game you can get lost in. And there are plenty of other types of simulation game too. You can play transport simulators, prison simulators or farm simulators. And those are just a few examples, so give them a try. Which type of PC games you like to play? let us know in the comments below.